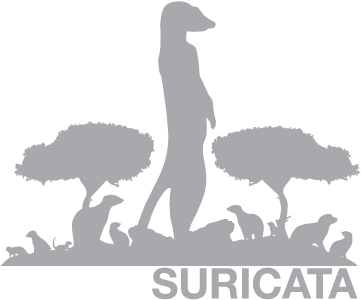 We’re considering to offer a Suricata development training day around the next OISF brainstorm meeting. That would be in Amsterdam around the RAID conference, in early September. Nothing is set in stone at this point, but I wanted to throw the idea around already. If you’re interested in joining this session, please let us know! If there is enough interest we may just make this happen! Myricom and OISF just announced that Myricom joined to OISF consortium to support the development of Suricata. The good folks at Myricom already sent me one of their cards earlier. In this post I’ll describe how you can use these cards already, even though Suricata doesn’t have native Myricom support yet. So in this guide I’ll describe using the Myricom libpcap support. Next, configure the amount of ringbuffers. I’m going to work with 8 here, as my quad core + hyper threading has 8 logical CPU’s. The 8 threads setting makes Suricata create 8 reader threads for eth5. The Myricom driver makes sure each of those is attached to it’s own ringbuffer. It looks like you can use any number of ringbuffers, so not limited to a power of 2 for example. You can also use Suricata’s built in CPU affinity settings to assign a worker to a cpu/core. In this example I’ll create 7 worker threads that will each run on their own logical CPU. The remaining CPU can then be used by the management threads, most importantly the flow manager. This configuration will reserve cpu0 for the management threads and will assign a worker thread (and thus a ringbuffer) to cpu1 to cpu7. Note that I added a few more performance tricks to it. This config with 7 cpu pinned threads appears to be a little faster than the case where CPU affinity is not used. The Myricom card already works nicely with Suricata. Because of the way their libpcap code works, we can already use the ringbuffers feature of the card. Myricom does also offer a native API. Later this year, together with Myricom, we’ll be looking into adding support for it.